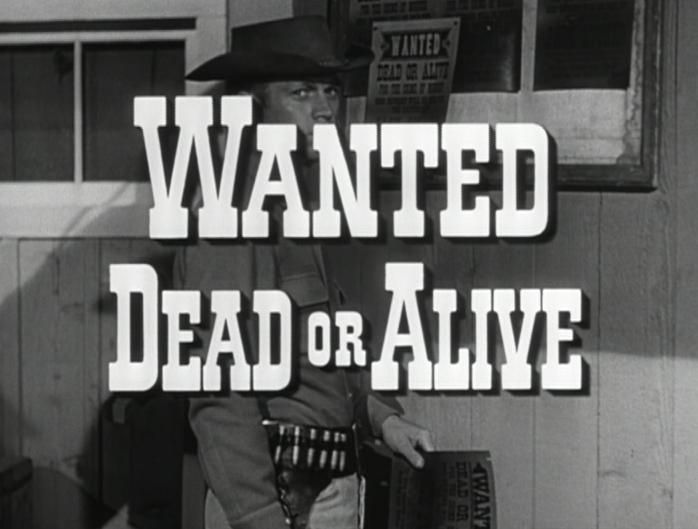 I'm so excited to see the classic TV western Wanted: Dead or Alive on MeTV's summer schedule that I wanted to share the series' outstanding Christmas episode, Eight Cent Reward. I'm certain that you'll join me in thinking that this particular episode is worth a second viewing! They just don't make 'em like this anymore. Yes, that's hunky Steve McQueen playing the lead in this TV series. 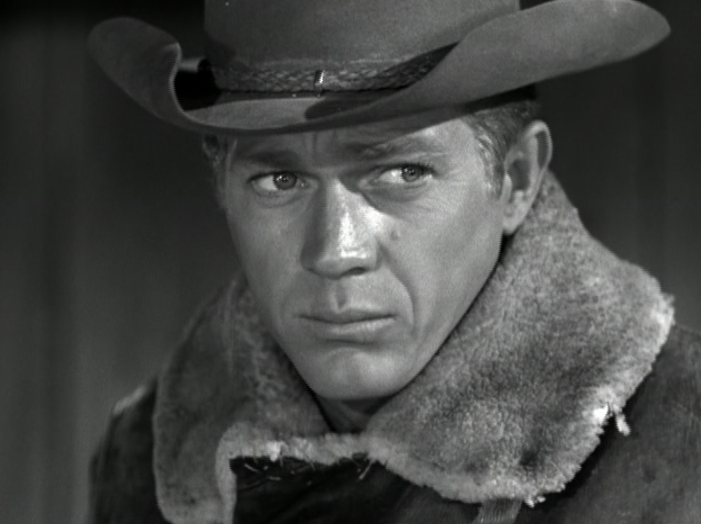 Much like actors Clint Eastwood and James Garner, McQueen launched his successful film career by first starring in a TV western. In Eight Cent Reward, bounty hunter Josh Randall is approached on Christmas Eve by a young boy with a proposition: young Laddie Stone wants Randall to find Santa Claus! The little one offers all the money he has--just eight cents--for Randall to deliver St. Nick. He explains that he needs a special gift for Christmas. It's the same gift he has asked Santa for over the past couple of years, and he's desperate to ask Santa for the gift again this year. Randall asks Laddie what he wants from Santa but Laddie refuses to reveal it. Laddie insists that he'll only talk with Santa about what he wants for Christmas. Though Josh Randall listens to Laddie and takes him seriously, the others in the bar think the little boy's request is the silliest thing they've ever heard. Could you say no to that sweet face? 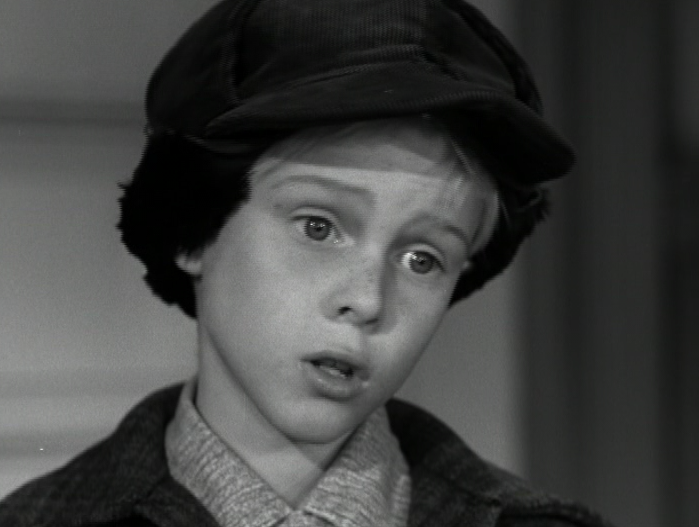 Laddie Stone is played Jay North. 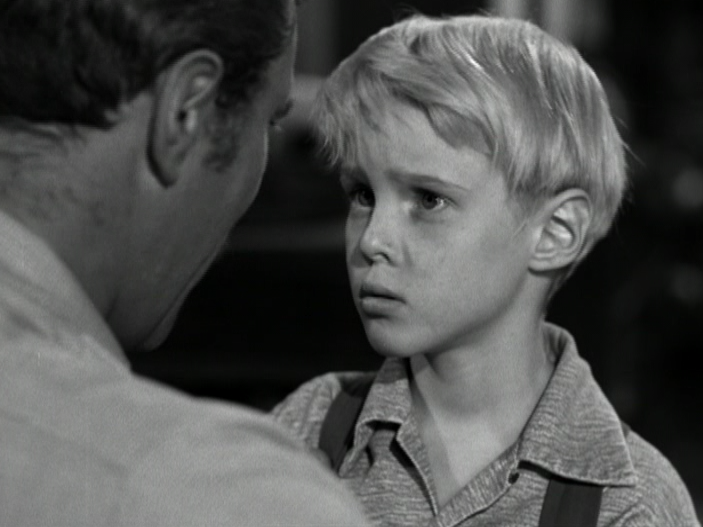 You may also recognize him as the actor who plays the title character in TV's Dennis the Menace. The other men in the saloon overhear Laddie's request and jokingly promise that Randall is such a good bounty hunter that he's sure to deliver Christmas' Most Wanted Man. Randall can't refuse Laddie's request--even if he doesn't know how to satisfy it. Not wanting to break the little boy's heart, Josh agrees to find Laddie's man for him and the bounty hunter sets off to meet Laddie's parents. The Stones are angry that Randall has encouraged Laddie to hope to talk with Santa Claus. Josh Randall finds the Stone farm just outside of town. It was a once successful sheep farm that has struggled the last few years after wolves decimated most of the flock. Life is hard on this family farm, and Laddie's parents, Hilda and Harmon Stone, are angry with Randall for making impossible promises to their son. Harmon is upset because Laddie doesn't quite differentiate the distinction between dreams--Santa Claus--and reality yet. Josh promising to find Santa Claus for the little boy only delays the inevitable and painful truth that Santa is...impossible to locate. Hilda is a bit more understanding. She doesn't want Laddie to grow up too soon but she's desperate to find out what Laddie wants from Santa--she knows her son hasn't been happy with what he finds under the Christmas tree the last couple of years. She just wants Laddie to get what he wants. Actress Virginia Gregg is Hilda Stone. Gregg had a forty year career in film and television as a notable character actor--I love seeing her on Dragnet appearing as one of Jack Webb's regularly featured cast members. Josh sets out with a plan to find someone in town willing to play Santa Claus for Laddie. Josh's Santa will ask the boy what he wants for Christmas, and Josh will buy it. If Laddie ends up asking for an impossible gift, Santa will be there to explain it to him and Laddie won't lose hope. With the Stones' permission, Randall heads back to town, however, his plan has some challenges. The saloon's bartender isn't convinced Ben can be trusted to play Santa Claus but Josh is desperate to help little Laddie. 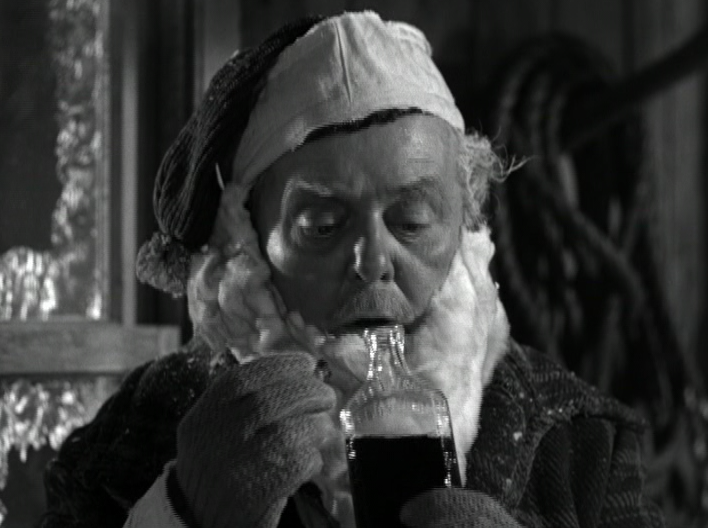 The only person in town willing to play Santa Claus is Ben, the town drunk. Ben pleads with Randall to give him an opportunity to do something meaningful for once, but the bounty hunter doesn't have much choice. He needs a Santa. Together they put together a makeshift costume for Ben and the two men head to the Stone farm on Christmas Eve as it begins to snow. This Santa needs a twelve step program! Josh asks Ben to wait in the Stones' barn until he gives the signal, then Ben, wearing his Santa Claus outfit, will enter the home and speak with Laddie. 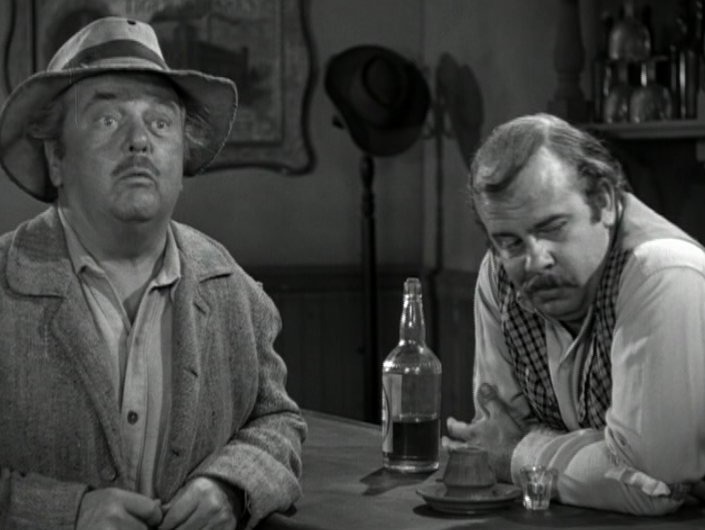 But there's a glitch in the plan--Ben is kept waiting in the barn long enough to discover a horse tonic--a tonic that contains a high percentage of alcohol--and he becomes intoxicated! Laddie has his heart set on talking with Santa this evening. When St. Nick doesn't arrive, Mr. Stone attempts to explain to his young son that life is full of heartbreak. Luckily, Laddie is still a little too young to understand. But TV viewers get the message--keep your tissues handy! Meanwhile, Josh is in the Stones' home and Laddie is beside himself waiting for Santa's arrival. When a knock comes at the door, Laddie runs to answer it--but only a stranger stands on the doorstep. The stranger has seen the lamp burning in the window and is hoping to sit by the fire for a few minutes before moving on in the snow. While Mrs. Stone offers the old man a bit of hospitality on this cruel night, Josh goes looking for the missing Santa Claus--and doesn't like what he finds. 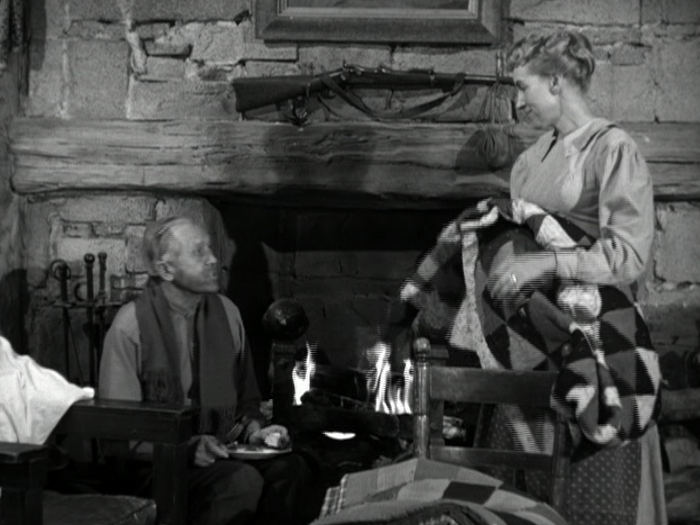 Not one to turn away a stranger on Christmas Eve, Hilda offers the old man a place by the fire, food, and a warm blanket for the evening. Josh tries to sober Ben a bit, but the old drunk is a mess. Afraid to disappoint young Laddie, Josh brings Santa in the house despite the obvious. Sure enough, Laddie approaches the stumbling drunk, rips off his beard, and runs from the room in tears! The adults in the farm house are devastated--Mr. and Mrs. Stone, Josh Randall, Ben, and the old man all watch in horror as the little boy's dreams are dashed. But it's late and no one knows what else to do, so everyone retreats to sleep for the evening. The bounty hunter gets a big emotion-filled hug from his most grateful client ever. Laddie finally got exactly what he wanted from Santa! Josh Randall and Ben are awakened bright and early Christmas morning with screams of delight from little Laddie! He's gotten the perfect gift from Santa after all--but how could this be? Hilda and Harmon thank Randall for the gift and he exclaims he didn't do it--Ben says he didn't give anything either. It turns out, all Laddie had wanted--what he asked for the past several Christmases--was a new rifle for his father to be able to shoot and kill the wolves picking off the family's sheep herd. 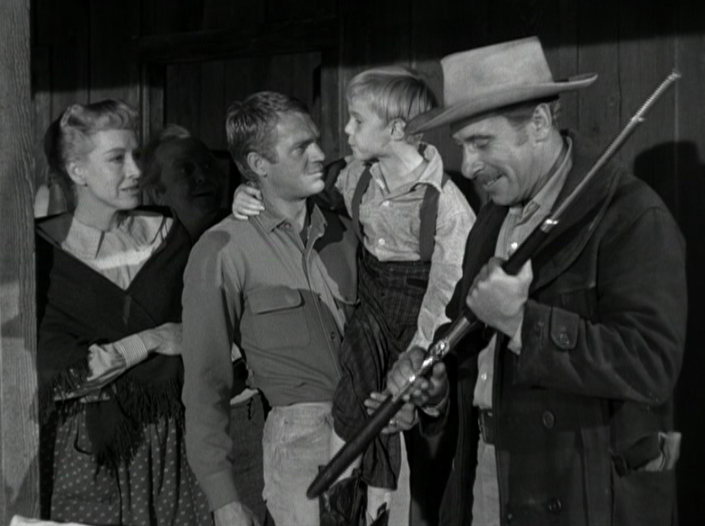 While I admire Laddie's loving spirit, his willingness to sacrifice his Christmas wishes for toys and instead wanting a practical gift that would benefit the whole family and their livelihood, I still find it kind of a shock that this 1950s TV episode's story centers around a wish for a gun to kill wolves. I guess this is another reminder that it's not the 1950s anymore. Ben finds a jingle bell among the ashes in the fireplace! 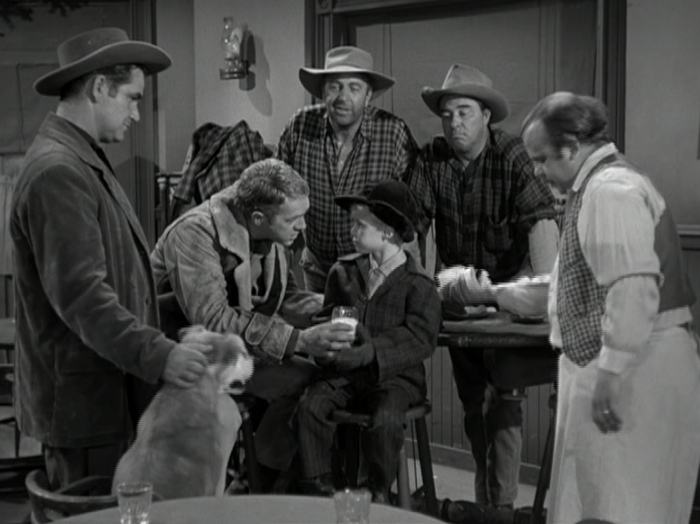 Ben is played by actor Lloyd Corrigan--who also appeared in several Lassie Christmas episodes. The adults wonder where the rifle came from--until they realize that the unassuming old man is missing. Though he left no tracks in the snow and the doors are still locked from the inside, the mysterious stranger has left without a trace! However, a little boy's faith and hope in the magic of Christmas is restored--no further explanation is required. 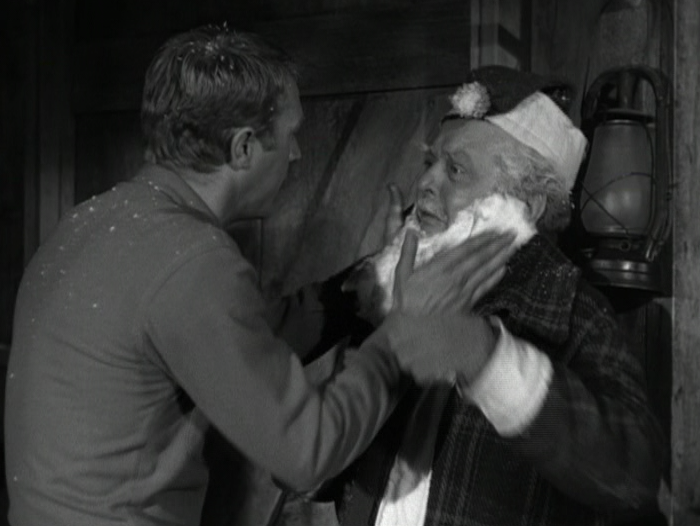 I love the story device of the stranger who is revealed to be possibly the real Santa Claus--an early example of a classic plotline that is weaved into this western with satisfying results. If you're curious to read about more holiday episodes found in MeTV's summer line-up of classic TV, click on the following links to previous posts from this blog: Gunsmoke, Rawhide, Dobie Gillis, Gilligan's Island, Car 54 Where Are You?, Welcome Back Kotter, Happy Days, I Love Lucy, The Honeymooners, Dragnet, Family Affair, Lost in Space, The Odd Couple, and The Donna Reed Show. And, don't forget to check out the other blogs in MeTV's Summer of Classic TV blogathon. Click here for the link to the complete list of participating blogs. That was an interesting episode indeed, very much a change of pace coming that early in the series' run. In particular, I liked how this offers the chance to see Josh as an actual "professional" - even though others don't take the boy seriously, he's a paying client an as such, he's entitled to the same respect that Randall would give anyone else. It's the same kind of thing Perry Mason would do. I always thought that aspect was an important part of placing Randall a bit above the run-of-the-mill bounty hunter. I like holiday TV episodes, too and had never heard of this one. 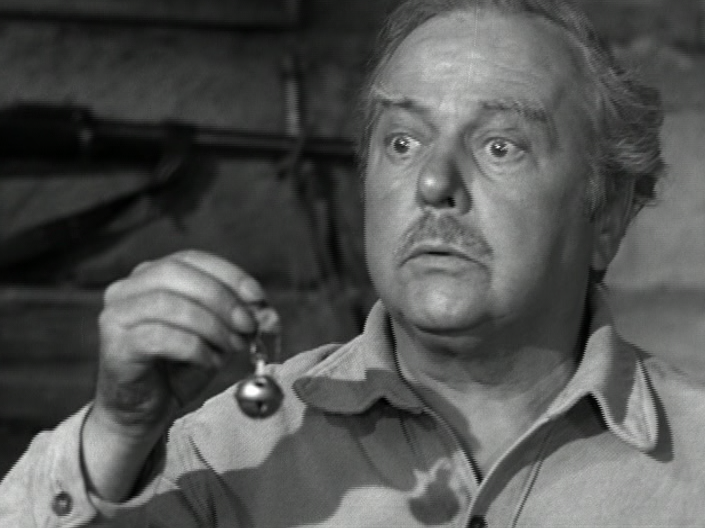 It reminds me slightly of the Twilight Zone Christmas episode with Art Carney, though there anything could happen. Thanks for introducing me to Wanted Dead or Alive. Joanna, the only season I own of WANTED: DEAD OR ALIVE is the first one--and it includes this episode! 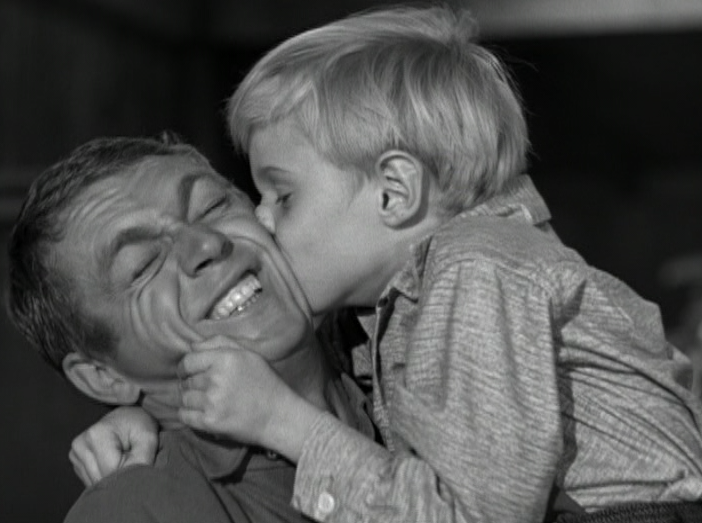 It's a sweet episode, but surprisingly unsentimental--in part because of McQueen's approach to his role. Like Mitchell wrote, Josh is a professional and treats all "clients" seriously. It's a character trait he shares with Paladin of HGWT (both act a bit world-weary sometimes, too). I was never a huge Jay North fan (anyone remember MAYA? ), but he's good in this episode as Laddie. Great pick for the blogathon! I've never seen Wanted before, but I love this article on it, and now I'm curious! I'm not a Jay North fan either, but whatever, holiday spirit for all! Haven't seen this episode yet - but it will definitely be on my viewing list for this holiday season! Have never watched this show, but if the Christmas episode has this much heart, I might have to give it a go. Wow, Christmas, Jay North, and Virginia Gregg...I am definitely going to try to catch this one when MeTV airs it. Thanks for this interesting review. I've never seen this show! I never realized that Steve McQueen was in it. This episode looks particularly poignant although I'm with you the wishing for a gun to kill wolves hurts a bit to think about. But it was a very un-selfish gesture for little laddie. And gee Jay North is kinda cute when he's not playing a pecks bad boy! Really great review and now you've got me wanting to see the show.... Great pick for the blogathon--PS I love Virginia Gregg in anything too! My pleasure, Joey. 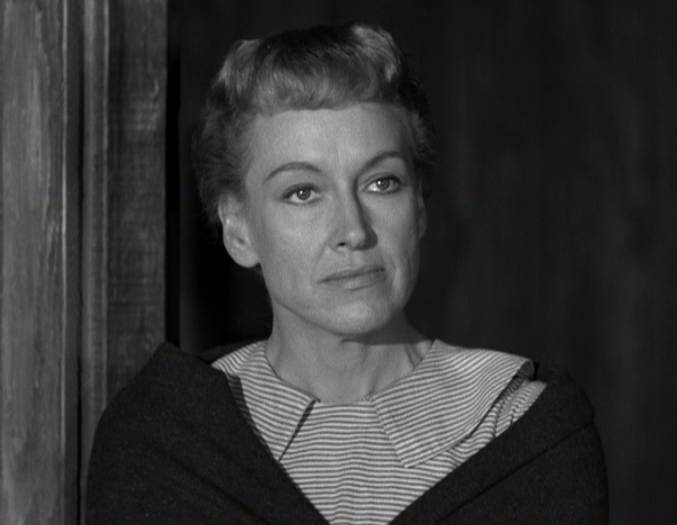 Virginia Gregg is amazing--I first fell in love with boldness on DRAGNET but now I see her all over TV. LOVE HER! Really enjoyed this post! I have the WANTED: DEAD OR ALIVE season one set, but have yet to give this particular episode a spin. Thanks for providing a heads-up! I always enjoy a good classic TV Christmas episode. 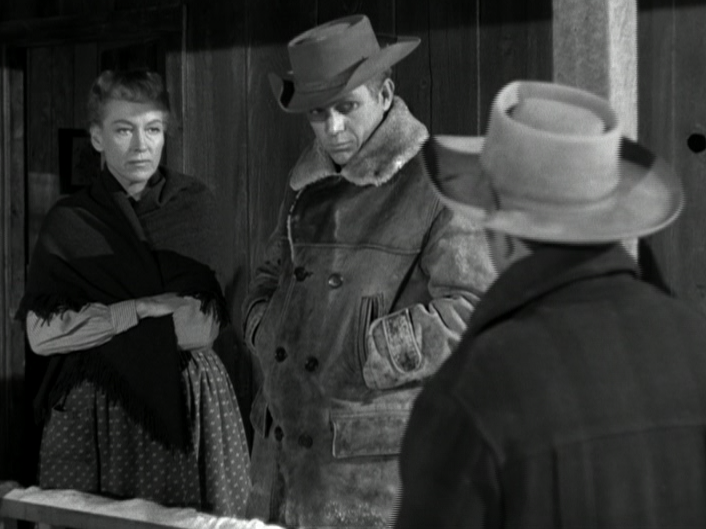 I see you've reviewed a number of western series and their respective Christmas episodes...was wondering if you've got around to the CHEYENNE Season 2 episode, "The Long Winter"? While it might not qualify as a dedicated Christmas ep, it does feature Cheyenne (big Clint Walker) spending a lonely, cold Yuletide with only his mule for company. Thanks for the suggestion Jeff! I'll see what I can do--I love any excuse to watch these old westerns again.